It is with great sadness the family announces the sudden passing of Douglas William Teel on Saturday, November 24, 2018. Doug will be dearly missed by his children Emma and Parker. He is survived by his mother, Lynda and brothers Bruce (Natalie), David (Kate) and Terry (Pam). Predeceased by his father, George. Doug will also be missed by his cousin Shaun (Kim) who was like a brother, as well as his aunts, uncles, cousins, nieces and nephews. 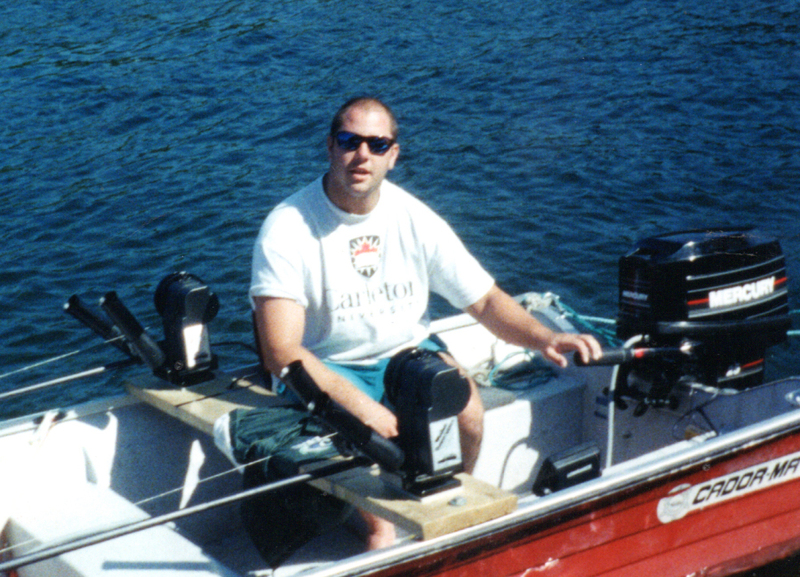 Born March 30, 1976, Doug grew up with a love of trucks and fishing. He had a great sense of humor and was a loyal friend. His greatest accomplishment was his children who he loved with all his heart. We take solace in Doug's freedom from pain and suffering. "God saw you getting tired and a cure was not to be. So he put his arm around you and whispered "Come with Me""
Please join Doug's family in a Celebration of Life on Saturday, December 1, 2018 at 1:30 - 4:00pm at Lions Gate Hall 386 Blake Street, Barrie. In lieu of flowers please make a donation to either Sick Kids Hospital or Child and Youth Mental Health in memory of Doug.